MPNP Online Applicatiion Tool | Changes in Manitoba Provincial Nominee Program - Gateway to Canada | Canada Immigration Consultancy! 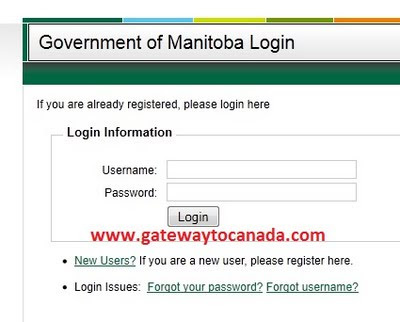 Applicants under Manitoba Provincial Nominee Program (MPNP) priority streams may now apply online to have an expedited process using MPNP Online Applicatiion Tool. This streamlined online application process is the first and most successful immigration program of its kind in Canada. MPNP priority streams include Employer Direct Stream, International Student Stream, Family Support Stream and Strategic Initiative Stream. Applicants under MPNP General Steam are accepted by mail only, and receive regular processing. This program is still open. However, MPNP is now requiring a detailed settlement plan. MPNP General Stream is not a sponsorship program, your financial situation and the community in which you've chosen to settle are two considerations in adaptability. These changes in Manitoba Provincial Nominee Program will definitely help improve the application process for those who intend to live and work in Manitoba.